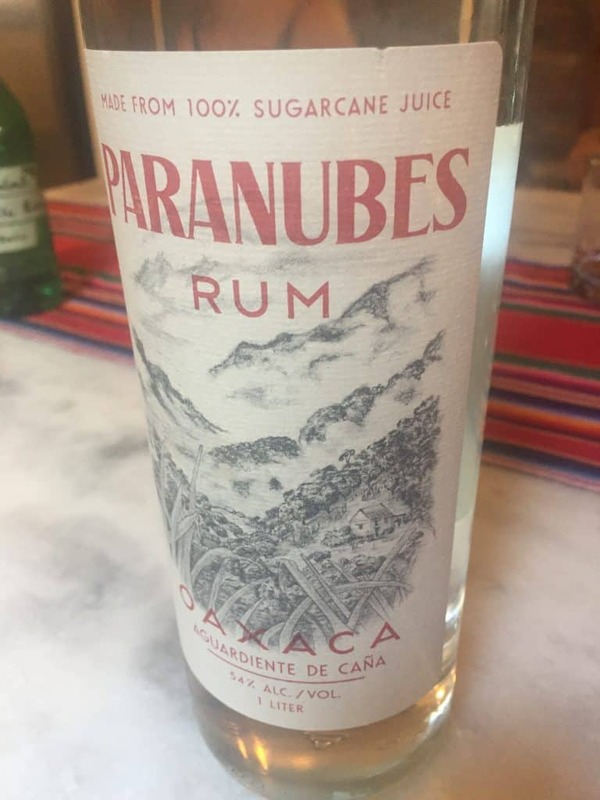 Paranubes is a rum distilled from sugar cane juice in Oaxaca’s Sierra Mazateca region which is almost due north of the city of Oaxaca far off in the mountains. It is distilled by Jose Luis Carrera and imported by Vago. It hit the US market in June and is currently available in California, Illinois, Louisiana, New York, and Texas. Internationally you can find it in Italy. 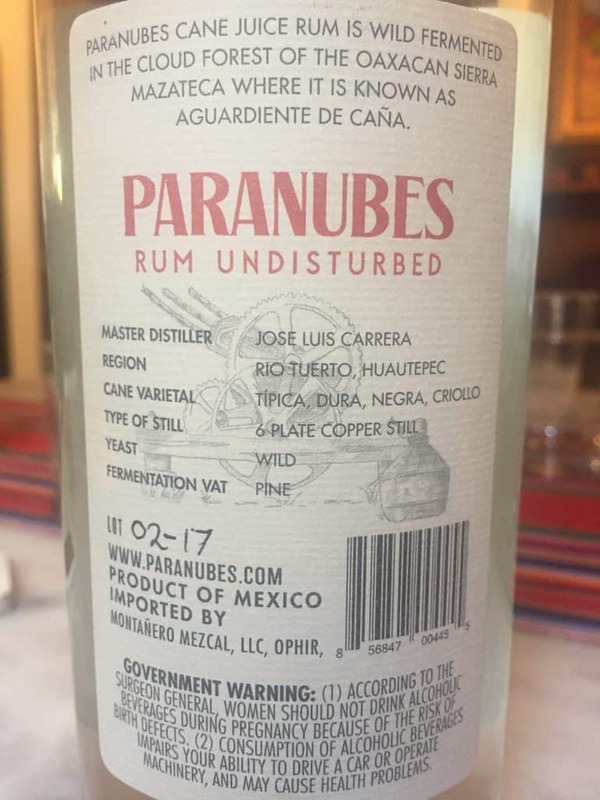 Mexican rum isn’t as strange as it sounds. The Spanish brought sugar cane with them and it has thrived ever since, especially in coastal areas like Veracruz which has also fostered quite a rum culture. Just think, Kahlua is based on rum and you can imagine so many other things emerging from that one idea. The Big Lebowski anyone? Sugar cane spread across Mexico like wild fire and its products are integral to local cuisines. You can frequently drink fresh sugar cane juice from many a local market in the tropical and semi-tropical regions of Mexico. Then there is the panela, those dark cones of evaporated sugar cane juice which show up in every Mexican market and feature in so much of its cuisine to the point that their traditional packaging is to wrap a stack of panela in leaves which weigh and resemble artillery rounds. Which is to say that the sugar culture in Mexico is all there right in front of us so the idea of a local rum shouldn’t be that alien. And it hasn’t been, it’s always been right there if we’d only bothered to pay attention to the small stills off in the countryside. Now that the mezcal gold rush is on for sure, it’s natural that we’re finally getting to see the amazing variety of Mexican spirits. The last few years have featured various thrusts in this direction, almost all of them equally amazing and different so lumping them together here is more about making a point that more is out there. 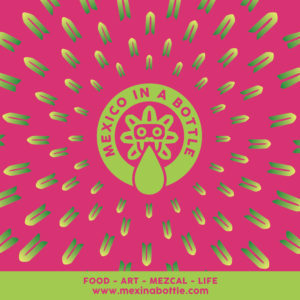 We know that there are universes of Mexican cuisines, now we’re finally seeing the amazing variety of Mexican spirits. We have quite a cornucopia to choose from including Comiteco, rum, heritage corn whiskey, Sotol, Baconora, mezcal, raicilla, tequila, and mezcal gin just to list out everything I can remember of the spirits legally imported to the US. Then there are those which have yet to appear like charanda, henequen and god knows what else (feel free to email me if I missed anything!). Suffice to say, we’re at a great moment for Mexican spirits. Thanks to Misty Kalkofen for describing the nose on this as having a “black olive brininess” because I couldn’t have said it better. That smell is so vivid that it sticks with you even if you don’t think it comes off a black olive, pick your association – it could be salt flat, sea spray, seaweed, you get the idea. You could use it like cologne to evoke the Irish seaside, Mendocino coast, or Hokkaido’s beaches. The flavor is round as you’d expect from a Agricole type rum. In one of those classic issues of conflated scent and taste it’s hard to pull the two apart. Yes, the mouth feel is round but it’s light and only slightly viscous. It tastes like a session rum because it doesn’t overwhelm your mouth while continuing to intrigue you over that nose which may be testament to it’s 54% ABV which definitely makes it sing. My third thought after evaluating Paranubes was “This is going to be a big hit in cocktail bars” exactly because of those aromas. I can see bartenders using the rum just to put that scent on the top of a cocktail or to make it the ineffable je ne sais quoi that drinkers flip over and can never identify. That’s not to slight the spirit, I’d gladly drink this straight, but bartenders everywhere are going to take to it quickly and I can’t wait to see what they do. Every day, he distills half of a single fermentation tank. He then fills it with fresh cane juice, and allows it to ferment with the older, continually active bottom half. The next day he repeats the process with the second tank, alternating daily. He will let the fermentation continue to roll for up to four months, before emptying the tanks and starting fresh. It’s something like a solera system for rum which extends into the distillation runs. Jose Luis separates each distillation into four sections called the alto, cuerpo, primera olanda, segunda olanda. (Loosely translated head, body, first tails, second tails). Vago then works with Jose Luis to blend those sections to create a more consistent rum. The variables are all those pesky things that an industrial operation automatically removes from the equation like rain, water content of the sugar cane, age of fermentation, and many others. Process is everything in the world of mezcal so the extensive collaboration on Paranubes’ bottle design between designer Drew Melton and Judah Kuper is yet another fascinating story. There’s a great blog post about it on Closer&Closer’s web site which delves into the creation of a unique font for the bottle inspired by revolutionary Mexican art and a profound sense of place. For me it evokes a Japanese landscape painting of the Oaxacan mountains. The blog post is thorough and full of details. It’s one of those things that makes you want to become a designer because the world of inspirations and the entire design process is so rich. The discarded ideas are ripe for other bottles – maybe they’ll repurpose them! 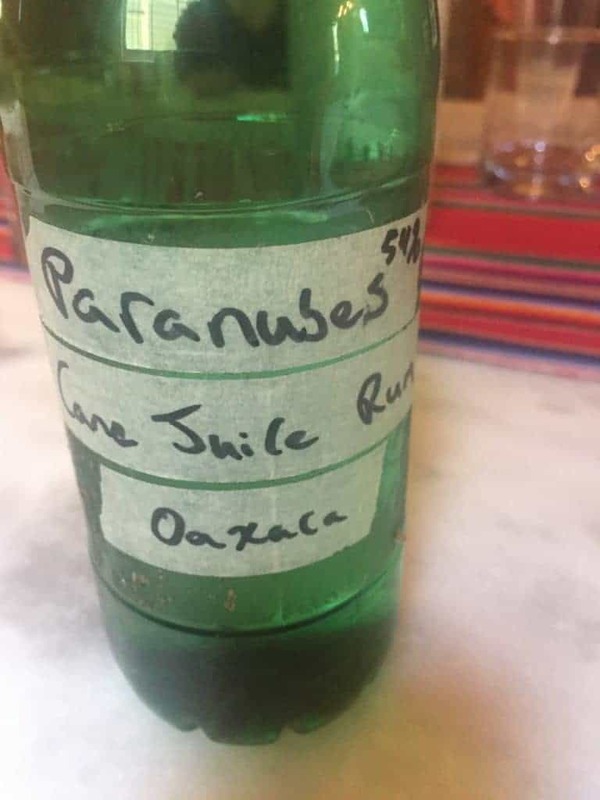 I had a wide ranging conversation with Vago’s Francisco Terrazas about Paranubes at Tales of the Cocktail this year which quickly drifted into the larger question of how Jose Luis interacts with the local community and cultural sustainability. 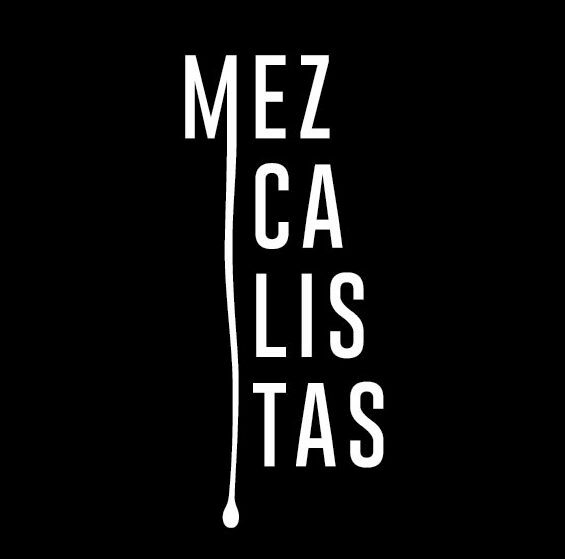 We keep coming back to these issues exactly because saving cultural traditions is wrapped up in distilling and is a core element of what Mezcalistas is about. 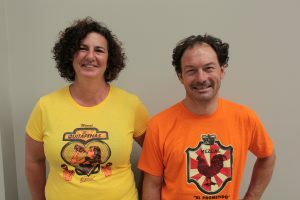 But it’s also a source of continuing fascination because most of the time it’s not us, the North Americans, coming in and saying “let’s save this awesome snowflake of a tradition,” most of the time everyone involved in the local tradition is already actively involved in keeping it vital, active, alive. This isn’t an exception, it’s the rule. To that point Jose Luis is working away on a coffee project, replacing varieties and trying to bring them to the international market. Right now he is growing four varieties of coffee. Because coffee is yet another local tradition and one that gives back in a way that spirits can’t because people just don’t drink that many spirits. But they do drink coffee, they drink it every day throughout the day, and they are fully prepared to pay a premium for the privilege, more than they currently pay for mezcal. So, I was incredibly happy to hear Francisco say that Jose Luis was working away on the coffee project because that’s a huge element of rural sustainability that does just what the word means, provide another way to sustain the local culture and economy. I can only hope that they pull off the idea – Blue Bottle are you listening?